With summer around the corner, you may be eager to get out and enjoy the sun. However, people often forget how dangerous exposure is to their skin. Without the proper precautions, you’re not only putting yourself at risk of sunburns but also cancer. Medex Diagnostic and Treatment Center in Forest Hills, NY, is the area’s go-to dermatology clinic. 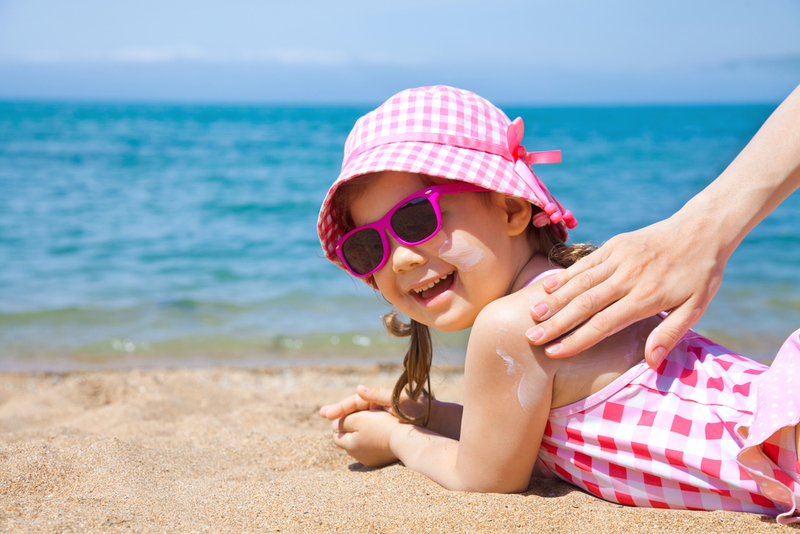 They offer a few easy ways to protect yourself from harmful UV rays. Apply a generous amount of sunscreen to all exposed skin about 20-30 minutes before heading outside. Using the correct SPF—at least 15, with broad-spectrum protection to shield UVA and UVB rays—work in layers and repeat every two hours. Choose a waterproof cream or spray if you tend to sweat a lot or plan to go swimming. Dehydration can have several adverse effects, including fatigue, decreased immunity, and dry skin. Drink plenty of water and fluids year-round, but particularly during the summer when heat contributes to the condition. Start the day with a cup of water and continue drinking regularly throughout the day. Dryness causes cracking, allowing bacteria and fungus to infiltrate, whereas moisturized skin retains pliability and is less likely to break. Wear protective clothing if you plan to spend time in the sun. Opt for tightly-woven fabrics or those treated with ultraviolet protection properties. Long-sleeved shirts, long pants, wide-brimmed hats, and sunglasses are the best defense. Limit your exposure to UV light by staying indoors or in the shade during times when the sun is at its peak, or between 10 a.m. and 4 p.m. Doing so will also help you stay comfortable and reduce the risk of heat exhaustion or stroke. In addition to the above precautions, it’s crucial to visit a dermatologist to investigate any unusual skin conditions, including growing or changing moles, which may indicate cancer. If you live in and around Queens, visit the professionals at Medex Diagnostic and Treatment Center. One of the area’s most trusted health care facilities, they offer a broad range of services from dermatology to pain management and women’s health care. Call (718) 275-8900 to schedule an appointment today. Or, visit their Twitter to keep up with the latest news and events on dermatology and beyond.